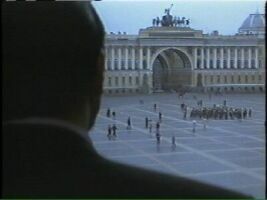 In preparation for Bond's visit, the Military Council holds a meeting in one of the buildings on the Palace Square. The most natural place would the the General Staff Building. 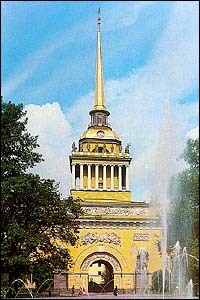 Built in 1820-ies, it was meant for military headquarters as well as for the foreign ministry and ministry of finances. 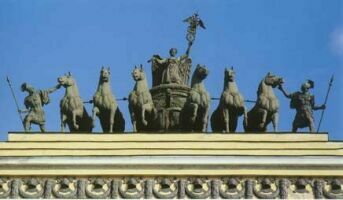 The arch, adorned with a chariot and six horses, commemorates the victory over Napoleon in 1812. However, at the moment, the building is used as an office building; Military Council and all ministries reside in Moscow. The shot we see in the movie is taken from another angle, though. It looks like the meeting is held across the Palace Square, in the former building of Naval Ministry - the Admiralty. The building now belongs to a Naval College, so it's unlikely the meeting is held there, either. Palace Square; the Arch is at the bottom right. 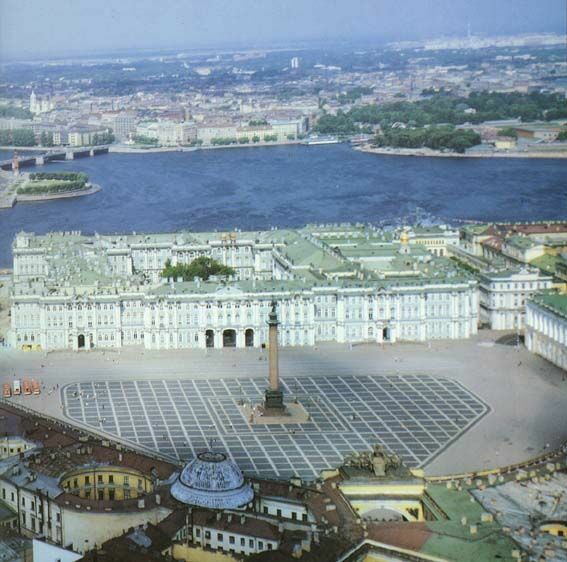 The green-roofed building is the Winter Palace - the main building of the Hermitage, one of the biggest museums in the world. 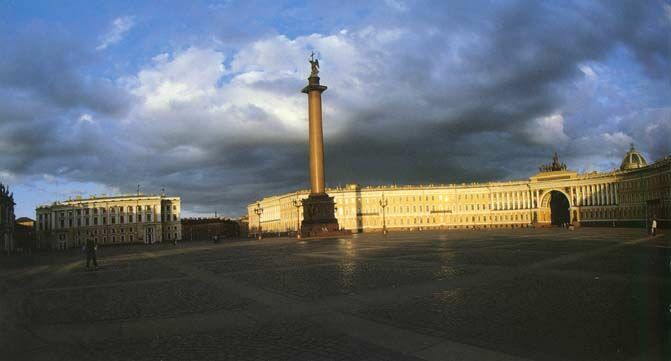 The Admiralty is out of sight, across a street from the Winter Palace. Pay attention to the little green peninsula at the left - it'll make another guest appearance. 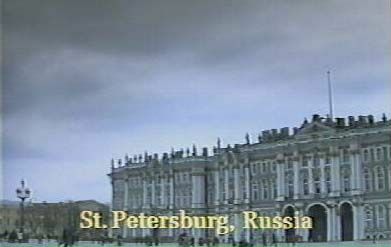 Winter Palace in the movie.